Is this CFL hurry-up audible call 'F*ck Bieber'? Is this CFL hurry-up audible call ‘F*ck Bieber’? 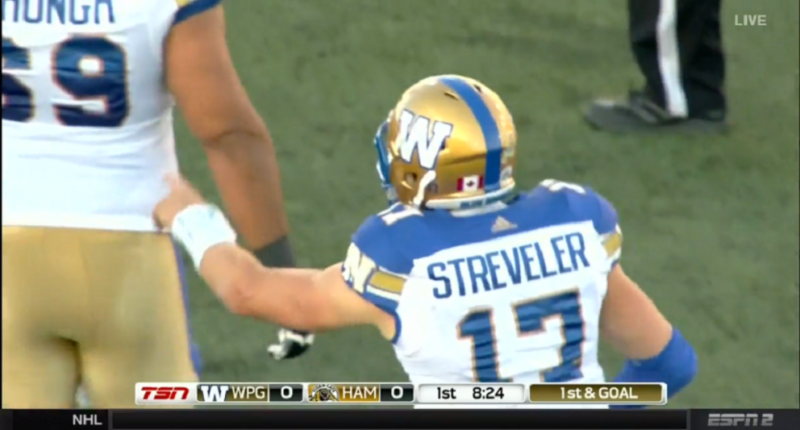 During Friday night’s CFL game between the Winnipeg Blue Bombers and Hamilton Tiger-Cats, Winnipeg quarterback Chris Streveler had the Blue Bombers in a hurry-up offense.